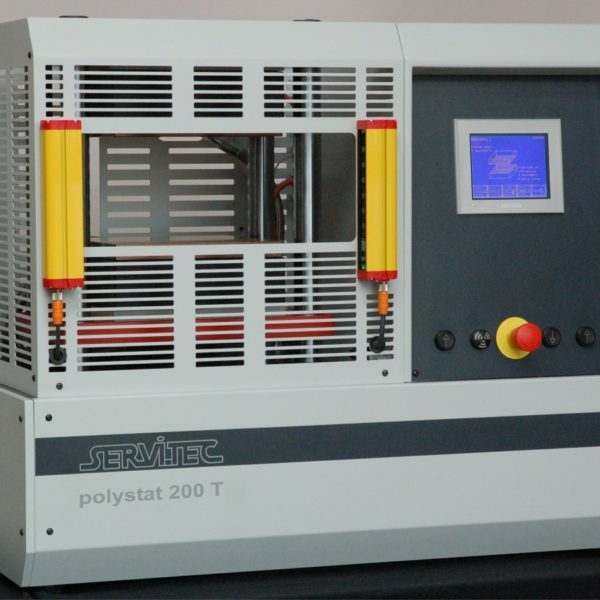 The Servitec laboratory press Polystat is a compact machine for making flat samples under pressure and temperature of all types of plastic and rubber material. The machine is successfully used for research, development and quality control all over the world. The Servitec press is available in different sizes. 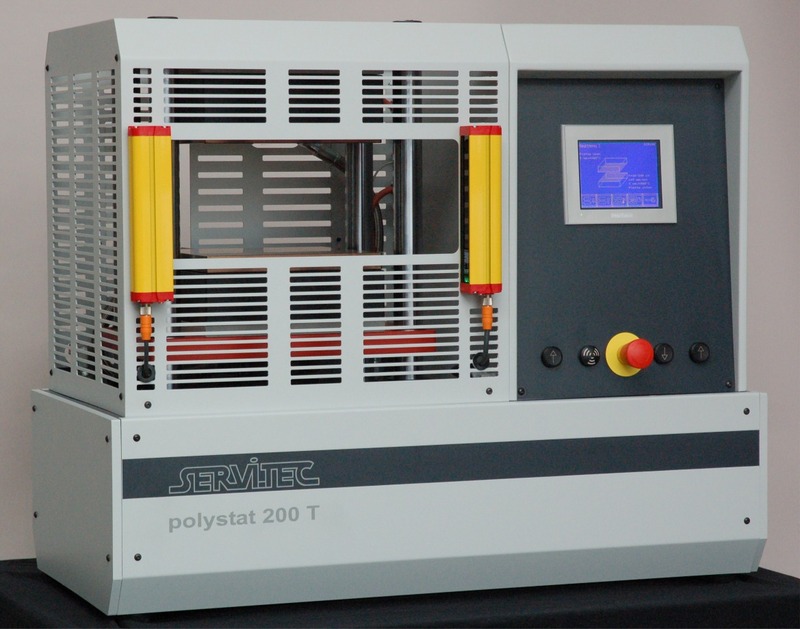 The bench type Polystat 200T has platen sizes of 200 x 200mm. The floor standing machines 300S, 400S and 500S have platen sizes of 300x300mm, 400x400mm and 500 x 500 mm. The basic machine allows pressing under constant working conditions to get flat samples in the laboratory. Customer requirements can be met with a number of options. For plastic process the sizes 200T, 300S and 400S are mainly used and for all rubber process the sizes 400S and 500S are the optimal version.